Only the base game was released at retail. Digital Deluxe version also available. All Windows and Linux versions require Steam DRM. The Digital Deluxe version includes a 25th Anniversary Digital Soundtrack and access to four post-launch DLC packs. The Mac App Store version is single player only. This will stop the game from automatically switching to the next unit after ending the turn of another unit. Since the first official patch, this is an ingame option as well. Replace logos.bk2 with the replacement .bik file. In the Gathering Storm expansion you need to replace LOGO_2KFiraxis.bk2 in Base\Platforms\Windows\Movies folder. This 'fix' may need to be re-applied if you verify/validate your files, or the game updates with a patch. In the installation directory, open Base\Assets\UI\WorldInput.xml. Find the line Container ID="TopScreenEdge" Anchor="L,T" Size="Full,30" Offset="0,28". Change it to Container ID="TopScreenEdge" Anchor="L,T" Size="Full,2" Offset="0,0". Set the UIUpscale setting to the percentage of scaling desired. 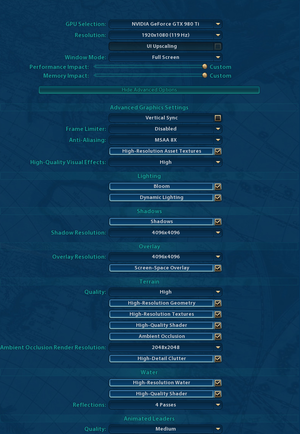 UI scaling is available as an in-game option at 4K resolutions and scales the interface by 2x. Example: a UIUpscale value of 0.25 will increase the UI size by 25%. At 1440p, values between 0.2 and 0.3 work well. A 2K Account (formerly my2K) can be used for save synchronization. Can go up to 144fps, possibly higher. Some possible keybindings are missing, but for the most part everything that has a shortcut can be reconfigured. See Helix Mod: Sid Meier’s Civilization VI (DX11). Go to the Base\Platforms\Windows\audio folder inside the game installation directory. Delete all language folders, while leaving the *.wav files untouched. It is not enough to delete the folder of the language your game is set to, e.g. English. This will make the game use the next-available language, e.g. Chinese. Non-voice game sounds, for example UI actions, unit movement and combat sounds, and so on, are not affected by this mod and will still be enabled. AMD/Intel GPUs aren't officially supported. "#CivilizationVI is coming to Mac! Preorder now! 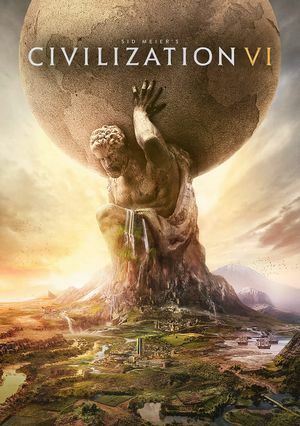 #2K #AspyrMedia"
"Sid Meier’s Civilization VI, set to launch on PC on October 21, 2016 [...]"
This page was last edited on 21 April 2019, at 23:13.